Correct Craft, the manufacturer of Nautique inboard ski and wakeboard boats, has partnered with FW Murphy to develop a new digital display system. 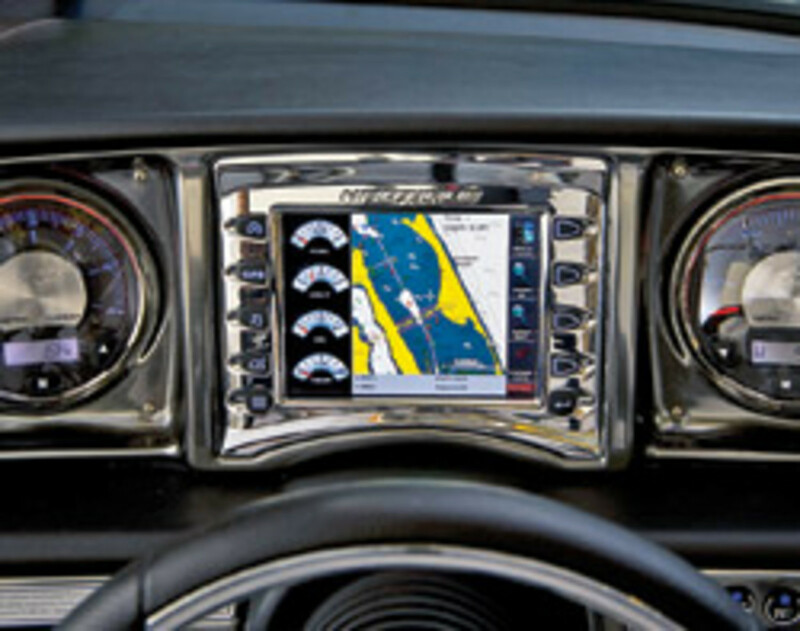 Nautique LINC not only displays engine information and handles diagnostics reporting, but also complements analog gauges and is capable of expanding on that integration. The system includes easy-to-use features such as the sophisticated Zero Off speed control system, along with audio and video inputs and other conventional GPS features. Correct Craft wanted a product that would streamline the dash of its Nautique boats and improve consumer interaction with the product. The combined efforts of Correct Craft and FW Murphy resulted in Nautique LINC, which was introduced at the Miami International Boat Show. I discussed the product and partnership with Jinger McPeak, director of marine markets for FW Murphy, and Greg Meloon, vice president of product development for Correct Craft. Meloon, whose great grandfather founded Correct Craft in 1925, started working on boats at age 14. Now 33, he has led the product development team for the last two years. He thinks consumers of the future will demand the interaction of digital displays like Nautique LINC. "Many of our customers need the ability to use charts," says Meloon. "We&apos;re bringing computer software into smaller boats with a truly integrated package - GPS mapping and chart plotting along with engine information and critical gauges. Correct Craft was searching for a vendor to provide this type of functionality, and Murphy was developing the product at the same time." Established in 1939, FW Murphy&apos;s product line includes a broad range of engine and engine-driven controls and monitoring systems. McPeak says the Nautique LINC project evolved when FW Murphy wanted to modify its current design into a smaller package to fit more helms. She says the company also wanted it to be rear-mounted and fully integrated into the design of the dash, instead of looking like a stand-alone, add-on product. "Our goal was to make the user experience better with an intuitive display that gave the consumer more confidence in their engine health; an easier, user-friendly way to run cruise control; and provide GPS mapping - all in one place," says McPeak. Meloon says that on a helm with full analog instrumentation, Correct Craft installs three 5-inch gauges, seven 2.5-inch gauges, and a stereo remote control, along with a mechanical box behind the dash to drive the gauges. 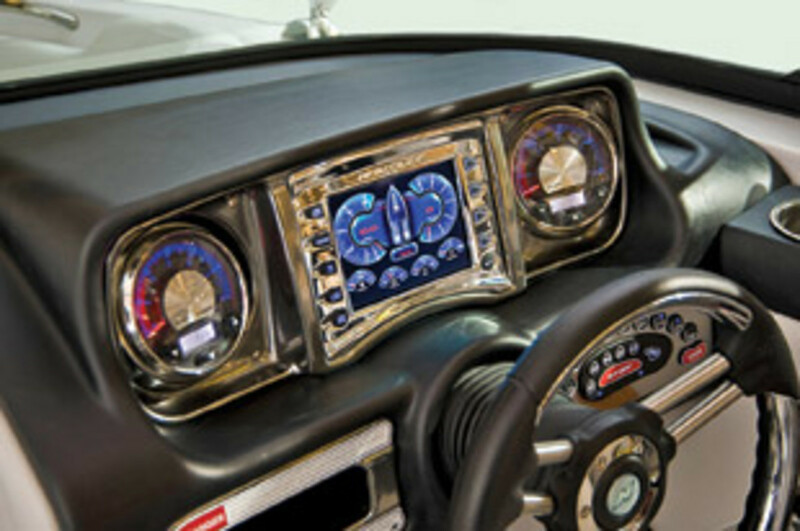 With Nautique LINC, there are only two 5-inch gauges and the LINC display. "The consumer benefit is having all the information available in one source," Meloon says. "All of the information that was visible to the consumer with the mechanical gauges is displayed on the LINC." Nautique LINC displays data from the GPS-driven speedometer, the tachometer and the depth finder, as well as air temperature, fuel level, oil pressure, engine temperature, battery voltage, engine hours, and ballast tank levels. "We&apos;ve retained the analog tachometer and speedometer so that anyone can get behind the wheel without feeling lost," Meloon says. The GPS function includes the typical chart plotter data, along with readout of location, date and time. The integrated Zero Off cruise control system is based solely on the input from GPS satellites and the engine management system. Widely used within the water ski and wakeboard community, Zero Off is capable of speed adjustments to within 0.1 mph and has several user-customizable profiles. The stereo remote enables the user to have audio controls integrated into LINC without the head unit being exposed to the elements. Meloon says it was also important to integrate functions such as video to review a wakeboard pass. The video display offers either full- or half-screen options. Meloon says working with FW Murphy enabled them to produce a strong product in which they have a high level of confidence, because of the significant amount of time and effort invested in development and testing. "Creating the display has certainly been a team effort," he says. "Murphy worked with us every step of the way to ensure that the display matched our customers&apos; high expectations. This alignment allowed us to make great progress and maintain the product development schedule." Correct Craft looked at several companies that could help bring their ideas to production, as well as contribute input to the project, while maintaining a tight timeline. It needed a quality display that was sunlight-viewable and could be customized for its packages, and it needed to roll out these packages at the beginning of the new model year. "FW Murphy was developing the right product at the right time and place, with the right people," Meloon says. "As the basic product was already in development, they were able to customize the display to our specifications." Both agree that the partnership has worked exceptionally well. "We&apos;re working with like-minded people," says Meloon. "There&apos;s more to it than pizzazz that looks good on the showroom floor; the system incorporates critical control functions that enhance the user&apos;s experience with our product." Many of FW Murphy&apos;s systems are being used elsewhere under private label - for example, on Volvo Penta&apos;s "Helm View" display. FW Murphy displays are also used by boatbuilders Cruisers, Formula, Riviera and Silverton, according to McPeak. FW Murphy began working with program managers at Correct Craft in May 2008 to provide engineering, technical and sales support. 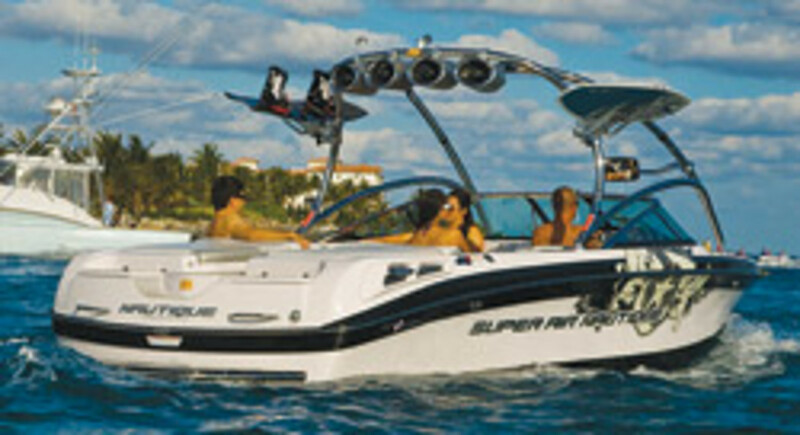 The Nautique LINC is built on the strength of existing FW Murphy software and its LCD technology, although the displays had to be modified to accommodate the rear-mount installation. FW Murphy also worked with Zero Off and stereo manufacturer Clarion to develop the ability to read from their controls and integrate their systems into LINC. Based on engine and boat parameters, LINC has the ability to control audio volume automatically relative to engine rpm and throttle position in order to avoid such issues as excessive volume on startup. There are other audio features that are currently under development. Nautique LINC is offered on the new Coastal Edition, a saltwater package available on the Nautique Super Air 210 and 230 and Crossover 216V and 236. Meloon says he expects it to be available on a larger percentage of boats in the next model year.